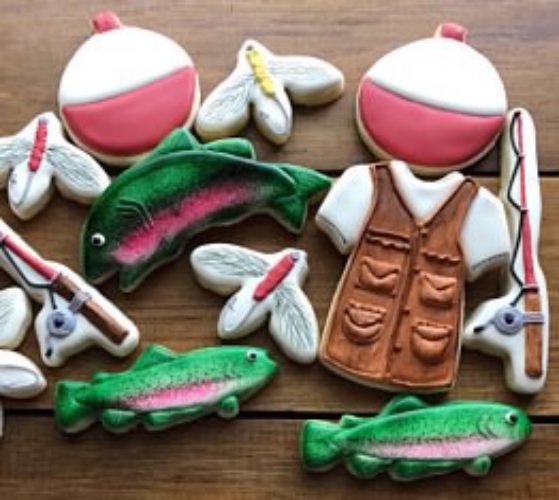 Frost dozens of fishing theme cookies for you next camping trip. 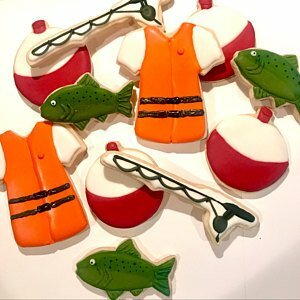 Amazing Fishing Cookies made by a customer. The bee is used for the fly, very clever. Love the pockets on the t-shirt too.